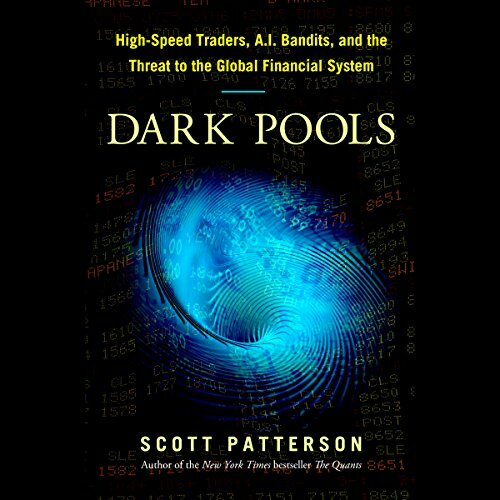 A news-breaking account of the global stock market's subterranean battles, Dark Pools portrays the rise of the "bots" - artificially intelligent systems that execute trades in milliseconds and use the cover of darkness to out-maneuver the humans who've created them. By then, the market that Levine had sought to fix had turned upside down, birthing secretive exchanges called dark pools and a new species of trading machines that could think and that seemed, ominously, to be slipping the control of their human masters. Dark Pools is the fascinating story of how global markets have been hijacked by trading robots - many so self-directed that humans can't predict what they'll do next. 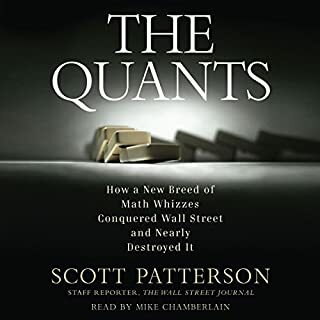 The author covers the material so well that even for those who aren't interested in the development of electronic trading will find the story an exciting read. He puts the context around the development and has written the definitive history on the subject. I'm a big fan of "The Singularity is Near" by Ray Kurzweil and I thought a lot of his telling of the story was influenced by Ray Kurzweil's thinking on AI and such. Near the very end of the book the author brings up Kurzweil and his thinking. He really didn't fit into the story's arc, but I took it as an ode to Kurzweil. I warn you. 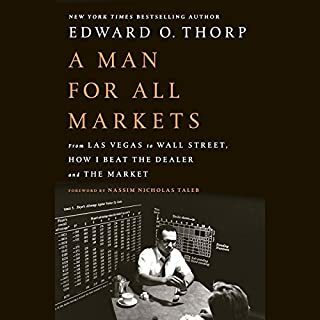 The book will give you a queasy feeling in your stomach because he documents so thoroughly how the HST (high speed traders) are systematically taking money away from us because there is not a level playing field for small players like us who invest through our mutual funds or individual stocks and ETFs. Thrilling insight into the world of HFT's!! Would you listen to Dark Pools again? Why? I will absolutely listen again!! Loved the audio book.. Informative, descriptive, thrilling, and just an all around great read/listen! What was one of the most memorable moments of Dark Pools? Loved hearing about the creation of Island, ARCA, and the passion of the programmers that created them! What about Byron Wagner’s performance did you like? Byron was absolutely one of the best narrators that I have ever heard.. I wish the book I'm listening to now was done by him! After listening to this book I want to go and create my own computer program.. I love trading and I am extremely passionate about the financial markets.. This book really got my wheels spinning! I like Patterson's authoring style for its energy. It was a nice entry point to begin to look at this area, and fine when my mood is "entertain me and don't make me work too hard to understand this." Sometimes the "bandits" type rhetoric and the stretching to be dramatic or entertaining or lurid seems juvenile. 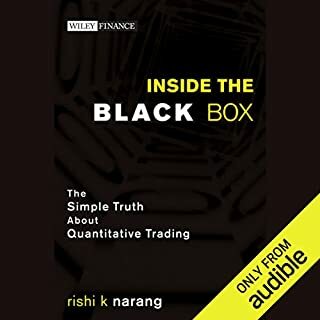 Sometimes this kind of tone takes the place of good patiently-written educating: this book would benefit from the greater depth and thoroughness in basic explanation one finds in any few pages of a book such as "All About High Frequency Trading" by Michael Durbin. Nevertheless, there is value here, but anyone advanced in this field would find this shallow. Moreover, I think the "Threat to the Global Financial System" angle is pretty shallowly covered. Loved it; only criticism is the same as others have said: author loves describing algorithms as “AI” which can drive you crazy (AI doesn’t exist yet; if it did I wouldn’t be around to write this review and you wouldn’t be here reading it right now.) So, if you are ok with mentally switching out ‘AI’ with algorithm/machine learning/etc I highly recommend this book. The thing that strikes me about this book is the fact that it takes and incredibly complex topic and makes it approachable. At a time when the markets appear hell-bent on leaving us in the dust, this book makes a timely arrival. And its final warning to the reader and purveyors of machine learning is artfully stated and immediate. Terrific book, but there are parts that are incorrect/missing information. i.e. the part where they spoke about the rogue GS programmer who stole proprietary computer code.. The court system and other programmers alike concluded the code was no more than useless free source code, and the story was embellished a lot. High-speed trading has revolutionized the stock market over the last 10 years and brought with it a whole array of risks, including flash crashes. And it could get worse as the computer-driven system becomes increasingly autonomous and too complex for people to understand. This book tells the story of how it happened. I would recommend this book to any intermediate stock or options trader curious about the influences of computer and technology development throughout the past two decades. 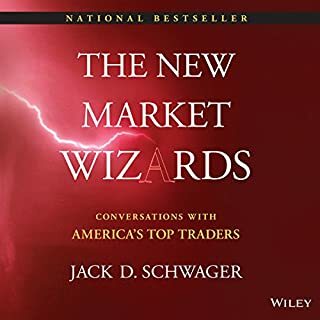 This book is very informative and keeps the reader engaged through a detailed description of the various people who ultimately changed modern day trading. I would not recommend this book to anyone not interested in the stock and options market. 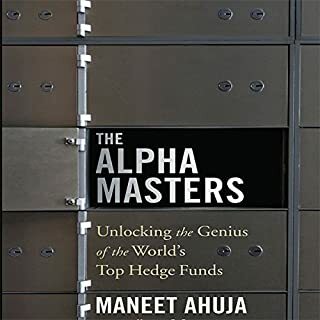 All in all, the information in this book will astound you as to the truth of the modern day stock market and how individual players are at a significant disadvantage to the institutional and automated players. What did you like best about Dark Pools? What did you like least? I enjoyed listening to the a history of some of the electronic exchanges & learning about the personalities involved. Would you recommend Dark Pools to your friends? Why or why not? Maybe. I don't have a background in finance or trading, so it's hard for me to verify some of the author's claims. However, I do know software - and in those sections at least it became clear the author does not have the level of understanding he thinks he does. What does Byron Wagner bring to the story that you wouldn’t experience if you just read the book? His Hungarian accent stood out, and not in a bad way. I think the reader did a perfectly fine job. Could you see Dark Pools being made into a movie or a TV series? Who should the stars be? I remember reading in the New York Times not long ago about a Russian charged with stealing computer code from Goldman Sachs. To dramatize the crime, the U.S. authorities charged that the code could be used ?? ?to manipulate world financial markets.??? My immediate thought: So, what the hell was Goldman Sachs doing with it in the first place! I was gratified to hear this mysterious little incident described again in this eye-opening work. This audiobook isn?? ?t perfect. The writing is standard-issue, people-centered journalism, there is little critical analysis or theory, and the otherwise fine reading can hit a slightly silly note here and there. But overall I found it excellent, extremely informative, easy to listen to. 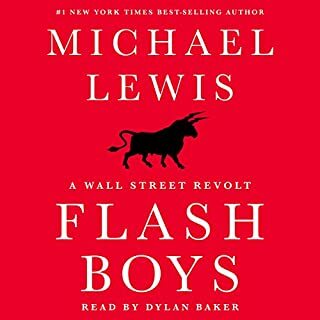 The author develops a detailed history of the rise of unregulated, computerized market trading, from its earliest, nerd-driven origins to the flash crash. He focuses on key individuals (often unheralded innovators), at times to the detriment of clear chronology and critical judgment. There isn?? ?t a lot of technical depth, but enough for me. I knew practically nothing, and had all my darkest suspicions amply confirmed. I only hope the author, or perhaps someone slightly more analytical, is working on the sequel. This is really a brave new world that no one seems able to fully grasp, let alone manage or regulate. I agree with the author?? ?s sense that, yes, the other shoe will definitely drop. You might want to keep a few dollars under the mattress.